Spirulina could be called, "the King of Superfoods”. It has some of the most concentrated nutrients you can find, per ounce, than almost any other food on the planet. 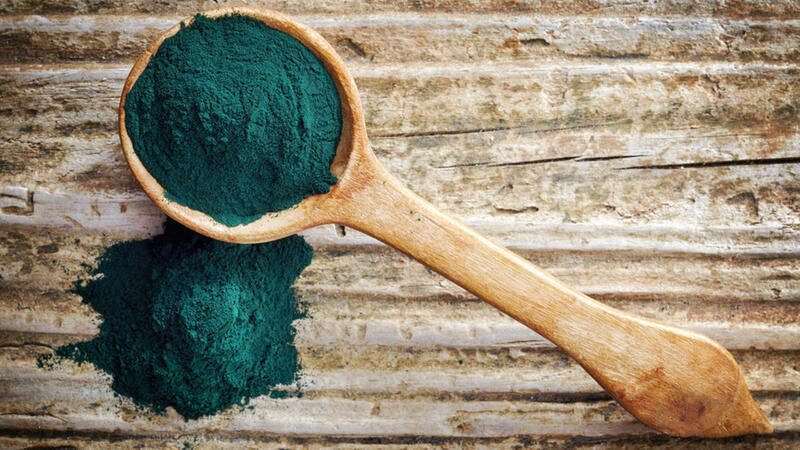 Before jumping on the Spirulina bandwagon, here are a few things you should know. Spirulina grows naturally in a few alkaline lakes around the world and has been harvested for thousands of years. The Aztecs & Mayans harvested it from lakes in Central and South American regions, and it's still grown and harvested in the wilds of Chad (Central Africa). Spirulina is cyanobacteria (blue-green algae), which is subject to contamination and mutation. Spirulina, as bacteria, can mutate into a pathogen, or toxic compound-producing form, in one generation cycle. Modern spirulina farmers must test batches of every harvest to ensure safety, whereas wild-harvested Spirulina is not tested and could be dangerous. Commercialization of spirulina started in Lake Tezcuco, Mexico, during the mid-1970s. Unfortunately, these products were often contaminated with heavy metals and bacteria due to agricultural run-off. This led to the emergence of American companies, such as Cyanotech (labelled Gandalf in Canada and Nutrex in the USA) and Earthrise, two of the highest quality spirulina companies in the world. These companies are situated in Hawai'i (Cyanotech) and California (Earthrise) and are widely considered the gold standard of the spirulina industry. It is important to note that Cyanotech and Earthrise are the only companies producing Spirulina in Hawai'i and California. Q. What nutrients can I get from spirulina? Q. What's so great about spirulina? Q. Which spirulina should I buy? A. When purchasing a spirulina supplement or a product that uses blue-green algae, be sure to ask for the source of the spirulina. There are many products that have been tested by 3rd party labs revealing an unacceptable level of contaminants – even when they are certified organic. Organic certification does not include testing for heavy metals, such as cadmium, arsenic, lead or mercury. It also does not include testing for bacterial contamination. This is a serious issue because, as you know, heavy metals accumulate in your body and some bacteria can make you very sick! Ask to see the 3rd party lab results of the product you are buying – after investigating many brands on the market I determined that I would personally take the Gandalf Brand (Cyanotech) of spirulina. Click here for more information. Whichever brand you choose, be sure to ask to see the heavy metal levels on the product. Note : Due to the radiation contamination of the Pacific Ocean, it is now important that we start to ask all companies to provide the radiation levels found in their products. Spirulina is called a micro-algae or blue-green algae, though it's basically something that isn't bacteria and isn't algae; think of it as plant-based bacteria. Spirulina is, in some ways, similar to bacteria that create Vitamin B12 in the soil, though it's actually an evolutionary branch-off. The same formation of Vitamin B12 can take place in spirulina as a Vitamin B12 (culture) laboratory vat. 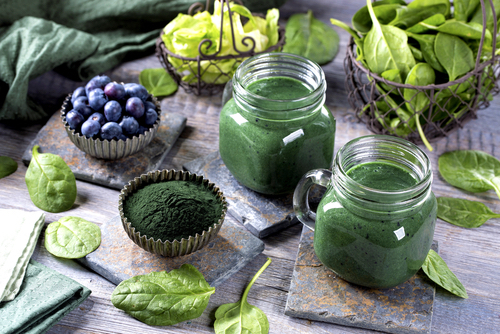 The primary issue with spirulina is that it's usually grown for protein, EFAs and anti-oxidants (like chlorophyll), not for VitaminB12 production. This means that without cobalt explicitly added to the growth pond (which is usually not the case) another Vitamin B12 'analog' is formed. Some manufacturers claim human form Vitamin B12 is in their spirulina product. Herbert et al. [1984 and 1988] explained that the Vitamin B12 measurement when checking spiraling shows total coronoids – that is, true Vitamin B12 plus analogues (forms of Vitamin B12 that are not metabolically active in the body) – and the analogues have the potential to block the absorption of true Vitamin B12 by occupying Vitamin B12 receptor sites. Not all spirulina makes cobalamin because of a lack of useable cobalt. That's why you'll read that spirulina might not be a dependable source of Vitamin B12 - however most of these claims haven't looked at every brand and source.